This page originated in our Free Pages Covering from British Columbia to Puget Sound. Washington counties covered: Skagit, Whatcom, Island, San Juan, Snohomish. An evolving history dedicated to committing random acts of historical kindness The home pages remain free of any charge. We need donations or subscriptions to continue. Please pass on this website link to your family, relatives, friends and clients. Brown Wiseman's service station in downtown Concrete sometime in the 1930s. This view is from Main Street, looking northeast towards the Thompson Bridge. Photo courtesy of Lois Pinelli Theodoratus. Albert Brown Wiseman was a legendary Skagit County Commissioner for the Third District, just like Howard Miller who replaced him on the board. They were both outdoorsmen, however, before their days as politicians. Howard left bridges, which we cross every day, as his legacy. A.B., always known as Brown, left fish that he planted by hand in dozens of high-country, North Cascades lakes and streams. Old timers remember him well, both as a friend and civic leader, but as 30 years have passed since his death, a lot of folks do not know why Brown is so revered. When I was a boy, growing up in the Utopia district east of Sedro-Woolley and two miles west of Lyman, Wiseman creek cut through the eastern half of our farm. That stream is a mere trickle now but fifty years ago it grew into a real torrent during the spring and fall as snowmelt doubled and tripled its volume almost overnight. As I grew up on the farm, I heard and read Brown's name often in connection with his political office, which he first won in 1948. His first term was for two years, but commissioners terms were subsequently four years long and he was reelected three times. Like many other upriver families, the Wiseman clan members were born in North Carolina and migrated to Washington after the turn of the 20th century. His parents, Bale and Linda Louise Wiseman, sacrificed to send their sons, Brown and Hobe, to college and both of them earned teaching degrees. Brown started teaching at Concrete High School in 1923 and he opened his service station on the route to the Thompson Bridge before he became commissioner, the building on the corner of Main Street that was transformed into a restaurant in the 1990s. 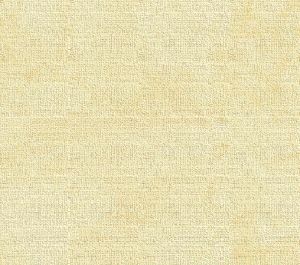 We hope that a Wiseman descendant will contact us and share family memories, a family tree and copies of family photos. Meanwhile, we share below two of the most famous Brown stories. One is about his longest lasting legacy — planting fish in lakes and streams, and the other is about he and Hobe were involved in the story about one of Washington's most historic criminals, the True-Love bandit. Brown Wiseman died in 1976 at age 83. 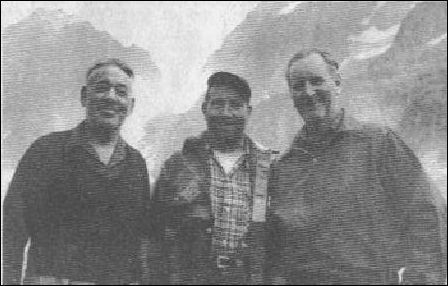 From l. to r.: Brown Wiseman, Raleigh Wiseman and Chuck Dwelley while climbing the North Cascades in an unknown year before 1975. The map of the Mount Baker Forest, which covers the widespread watershed of the high Cascade Mountains into the Skagit River, reveals a wild country full of lakes and streams. Much of it is now being preserved in a national park, primitive areas and national forest — to be kept as much as possible in the way nature left it after completing a spectacular job of landscaping the higher altitudes. Yet one of the most attractive assets is that at the present time there is hardly a bit of water capable of sustaining fish life that does not contain mountain trout. Few realize that all the lakes were once virgin, barren water. Nature did provide the lakes and streams but the fish were carried to them on the backs of men. They didn't just fly there. 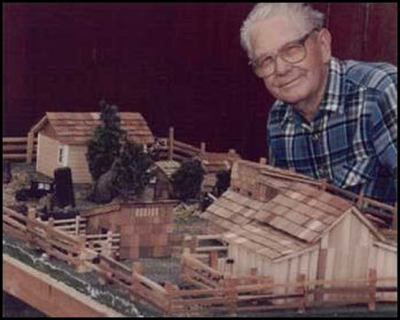 In the upper Skagit Valley it all started with one man's inspiration. His name is A.B. (Brown) Wiseman, former Skagit County Commissioner from the third district. Given the initials of A.B., he chose to be known by the second — "B" for Brown." And though he served his community, county and state in a number of ways, his proudest memory at the age of 82 is of the millions of trout planted in the high lakes and streams of the North Cascades following his initial personal efforts and continuing effects of his enthusiasm. Brown came to the Skagit Valley with his parents in the early migration of North Carolinians after the turn of the century. They found work in the logging and mills and also a new home in a country second only to their beloved Tarheel as a perfect place to settle. The youngsters grew up hunting and exploring the forests and high meadows that were hardly touched by man. Brown was one of the most active, often hunting alone for days at a time in the high country in the manner of the storied mountain men who first penetrated the west, and who were the heroes of kids of that time. However, he chose education rather than logging and after high school and higher education he became a teacher at the Rockport [elementary school]. It was there that he became aware that all the lakes and many of the streams he visited provided no trout to be fried in bacon over the camp fire as tradition has promised. He began making notes of all the lakes which he knew were of a size and depth that would support fish and made inquiry at the Grand Creek State Hatchery about securing and handling small fry for such plantings as he had in mind. The fisheries men were enthusiastic about the idea and promised not only cooperation and technical information, but all the fish he could use. It was in 1927 and he was then athletic coach at Concrete High School that he made the first plant. It was in Sauk Lake, a crater which exists at the 4,025 feet-level of Sauk Mountain. During his years at Rockport he estimates that he had been atop the mountain over fifty times but he also admits that his first fish plant was a rough one. With Rick Buchanan of Rockport as his partner, the two of them loaded several thousand fingerlings from the Birdsview Hatchery in two five-gallon coal oil cans, leaving the cap off to give them air. It was about 5,000 feet straight up the mountain, following blazes [chalk marks or ax cuts in trees] as there was no trail, in the ridge above the lake. From there it was about a thousand feet down a steep slope to the lake. It was an exhausting trip and based only on hope that the experiment would be a success. The fish planted were Rainbow trout. "When I saw those growing trout in that one barren lake, it made me feel good." So good, in fact, that he began his campaign aimed at planting every barren lake and stream he could locate. The equipment and methods of backpacking fish were developed by trial and error as the plantings continued. At first the five-gallon, square, coal-oil can, filled 1/2 to 3/4 full of water, could handle 1,500 to 2,000 time fry or 600 of the larger fingerlings. A small screen over the cap spout prevented fish loss while still giving them air. The idea was to keep "sloshing the water while walking and to keep the can rocking when stopped for rest. Without aeration the fish would rapidly die. Continual watch was required to see that there were no floaters or listless fish near the surface of the water. Water was replenished whenever the packers found a running stream or spring. Overnight trips required running water into the cans, or continuous watch set up to see that the cans were rocked at intervals. Several times, Brown sat up all night rocking a can of fish in a dry camp, so later tired to plan trips that would reach the destination in one day. A later development was a can with the top cut out and holes punched from the inside around the sides. On the packboard this was the food carrier, but when camp was made near water, the empty can could be set in a stream or pond as a holding tank for the fish. A can of fish on a packboard weighed between 25 and 30 pounds. Most of the lakes were far beyond trails and required a rugged type of person who had to have a do-or-die attitude to overcome the exhaustion that was sometimes necessary to get the fish into a lake without big losses. Coach Wiseman, an all-around athlete himself, soon drafted many of his football players [from Concrete High School] for his planting trips. "I told them it would help develop good leg-drive," he explained. In turn the boys who made the trip into the hills with him were given a training in woodsmanship they never forgot. He had a million stories as entertainment and a gift of inspiration. He taught them how to carry the cans safely, how to keep the fish alive under all conditions and — equally important — how to release the fish into their new homes. After a long hike the water in the cans often became so warm that it had to cool to lake-temperature gradually to protect the fish from death by shock. "I would always plan on sacrificing one or two of the fish before letting them dump their cans," Brown tells. "If one of the fish died we would have to start cooling the water in the cans. If we released two and they swam away lively, we turned the rest of them loose." As one who survived a compass fish plant on a barren stream far back in the hills I can vouch for the hardship one who is not in top condition can suffer. The memory of charley horses in the legs, extreme weariness as each apparent hilltop revealed one more to go — and the shock of a cupful of water out of the spout on the can sloshing down your neck with each stumble and unthinking stoop under a tree branch. You quickly learned to walk head-high and proud. A keeper of meticulous records, Brown Wiseman has compiled a list of all of his 50-odd plantings from 1927 to 1936, including the names of those who helped with the back-packing. Lakes on the map were stocked first, then he went on to find those reported by hunters, trappers, timber cruisers and from the air. The lakes included Sauk and Baldy, Monogram, Jordan lakes, Watson lakes, Anderson, Clear, Stilwell, Bear, LaRush, Martin, Ann, Loser and Upper Falls, Slide, Illabot, Jug, Lily Pad, and some replantings and restocking of waters already holding fish. These ranged from the Cascade River watershed, south of the Skagit into the Illabot Lake district, some north of the Skagit and many in the Baker Lake area — into Whatcom County. Almost all were barren waters until Wiseman and his crew brought fish. In addition to the lake plantings, Wiseman and his helpers stocked streams of all sizes encountered along the route to the various lakes. Also, trips were made purposely to stock streams as near their source as possible, above high falls and in larger streams above each level of falls that would prevent fish from reaching them by migration. In the Baker Lake country these included Rocky, Big Sandy, Bear, Swift, Morovitz, Park, Rainbow, Sulphur, Dillard, Shuksan and Thunder. Those flowing into the Skagit River were Jackman (three different plants above falls 1, 2 and 3), Diobsud, Illabot and Boulder. In the Illabot Lake area plants of the adjacent streams included Blue Bell, Arrow, Iron and Otter creeks. On the Old Sauk Road: Bryson, Flume, Rinker and Thompson. The long list of boys and men who assisted Brown in his crusade have well earned their place in the records and heart-felt "thank you" from hikers who now unwittingly reap the benefits of their exertions. In return these backpackers grit their teeth at the tales of some of the late-coming lake visitors who catch more fish than they can eat or pack out legally — just because it is so easy. Coach Wiseman's activities were curtailed in 1936 [incorrect, actually 1940] but the work he had started was taken up by those he had trained and other sportsmen inspired by his efforts. Sportsmen and sports organizations still continue to seek out and stock newly discovered lakes and streams and restock those in which the original fish have failed to reproduce. The long list of those who carried on include veteran timber cruiser Vic Galbraith, Mick and Ross Buchanan of Rockport, Carl "Bud" Buller of Marblemount, Bill Rivord and Harold Renfro of Sedro-Woolley and, as part of their work, U.s. Forest Rangers and State Game Dept. men. Bud Buller, on his own, hired planes for two difficult "drops" of fish into Monogram Lake and Diobsud Creek. The first method developed was using parachutes of the type used by the Forest Service to drop food and supplies to fire crews. The can was slung in a parachute and had a block of wood attached to the bottom of the can so it would turn upside down in the water. Later an experiment found it feasible to drop fish in a free fall — spraying them across the water. Both had moderate success. Recognition of the pioneers in fish planting is now going into public record as a result of Wiseman's statistics. And high up above the flats of the South Nooksack country you will find a lake marked on the map with the name of "Wiseman Lake." It wasn't exactly named for a school teacher who later became a Skagit County Commissioner and well known member of state and federal agencies — but in honor of his pioneer mother, Linda Louise Wiseman — who would have been "right proud" of her son's contribution to natural resources in "Northwest Tarheel," the upper Skagit Valley. The Wiseman boys and the True-Love bandit Ed. note: We have not yet found the newspaper story that covers this famous crime incident, so we quote below from the 1975 Skagit County Historical Society book, Skagit Settlers, which is still for sale at the LaConner Museum. The story does not mention the date or year, but we know that the crime occurred in 1914, just weeks before the equally famous First National Bank robbery in Sedro-Woolley. Quoted from Skagit Settlers, page 193 After killing a man with a bed slat, Charlie Hopkins, a swarthy man with "T R U E" tattooed on the fingers of his left hand and "L O V E" on his right, escaped from the Seattle police and headed north. An Everett officer, knowing that Hopkins was wanted in Seattle, attempted to arrest him but was himself killed along with two other citizens. Skagit officials were notified that this dangerous criminal was coming their way. In the McMurray area he encountered two hoboes, "blanket stiffs," as they were often called. After robbing them of what little they had he forced them to walk to a railroad bridge and shot both of them, leaving them for dead. One died instantly but the other, seriously injured, was picked up by a section crew and taken to a hos¬pital where it was found he had been shot with a split bullet, another mark of Hopkins' murders. The next person who reported seeing him was a young boy, Gov Rogers, driving a milk wagon from Sedro Woolley to Lyman. When Hopkins asked for a ride, Rogers, knowing nothing of the story, picked him up. The man tried to sell him a razor stolen from one of the hobos but was re¬fused. When he inquired about a place to spend the night, Gov suggested the hospitable Wiseman home. The Wisemans gave him an unused room upstairs. When the Wiseman sons, Brown and Hobe, returned late from a singing bee at the Utopia school and climbed the stairs to their room they were startled to hear someone jump to the floor of the unused room but went on to bed with¬out investigating. At breakfast the boys were surprised to find the swarthy man with his tattoos. One of the boys, who had killed a coyote the day before and still had the gun in his pocket, pulled it out and laid it aside as he sat down. Hopkins jerked out his gun but did not threaten any of them. After break¬fast he left and continued his journey up river. That evening in Van Horn he asked to spend the night at the Frank Yeager home but they turned him down because they had several children and did not fancy taking in a stranger. He asked at other homes and was refused, eventually reach¬ing Clark Ely's place. Ely, a bachelor, ran the store and lived in rooms above it. He gave the stranger a room and that was where the tired fugitive finally went to bed. Meanwhile, Mrs. Yeager opened the paper and found a picture and description of the bandit, and realized that he was the man who had come to their door. Mr. Yeager went quickly to the store and wakened Ely, saying that the children were sick and he had to have medicine. When the two men could talk quietly they compared notes and made plans. Yeager went as fast as possible to Concrete and fetched the marshal, Joe Glover, who came with a gun and handcuffs. 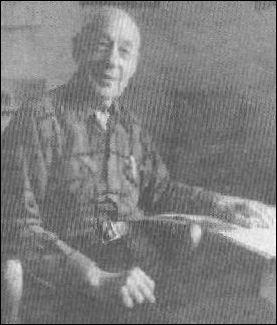 Hopkins was sound asleep with his gun under his pillow when they went into his room; Yeager kept him covered while the marshal snapped on the handcuffs be¬fore he could reach his gun. The captive was held in the Concrete lock-up until Bill Bardsley from the county sheriff's office arrived to take him to Burlington by train and on to Mount Vernon to lodge him in the county jail. There local citizens wanted to lynch him, and the other prisoners in the jail were so afraid of him that they all begged to be put together in one of the two cages, leaving him in solitary possession of the other. When Hopkins came to trial he was given a life sentence and spent the rest of his years in the state penitentiary. Ed. note: Please email us if you have any further stories about Brown Wiseman and his family, or if you can supply copies of photos. Our portal link to links to stories about fishing and hunting in the Skagit valley, the Puget Sound and the Northwest. Did you enjoy this story? Remember, as with all our features, this story is a draft and will evolve as we discover more information and photos. This process continues as we compile and collaborate on books about Northwest history. Can you help? And also remember; we welcome correction, criticism and additions to the record. Read about how you can order CDs that include our photo features from the first ten years of our Subscribers Edition. Perfect for gifts. Will be completed in 2012. You can click the donation button to contribute to the rising costs of this site. See many examples of how you can aid our project and help us continue for another ten years. You can also subscribe to our optional Subscribers-Paid Journal magazine online, which has entered its 12th year with exclusive stories, in-depth research and photos that are shared with our subscribers first. You can go here to read the preview edition to see examples of our in-depth research or read how and why to subscribe. Our research trips in 2012-13 depend on this income. Would you like information about how to join them in advertising? We cannot emphasize how we need such support for our accelerated research journeys of 2012-13 for books and many more stories. We are advertising for sale by readers, two fine historical books. The first is Theodore Winthrop's The Canoe and the Saddle, NY, American Publishers (c. Ticknor & Fields, 1862), a second edition, published circa 1890. And the four-volume set of The History of Washington by Lancaster Pollard and Lloyd Spencer, 1937. Please inquire by email if you want more details or want to make an offer. Also inquire about other offerings or if you request a specific book. Oliver-Hammer Clothes Shop at 817 Metcalf Street in downtown Sedro-Woolley, 88 years.